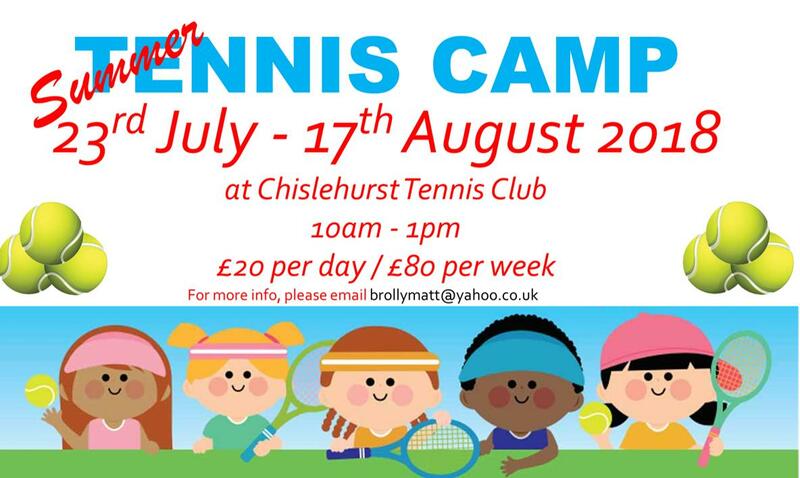 Chislehurst Lawn Tennis Club are delighted to be running tennis camps during the summer holidays for members and non-members of the club. Why not join us for a week of intensive tennis and fun? A variety of drills, games and match play are used each day to convey specific teaching points and all equipment is supplied. The cost is £20 per day or £80 for the week. Please book via the Turbo Tennis app: Android / iOS. From the main dashboard, click on Holiday Camp where all the camps are listed. If you have any questions please contact Matt Brolly on 07733 332257.